Stoneybridge is a small town on the west coast of Ireland where all the families know one another. 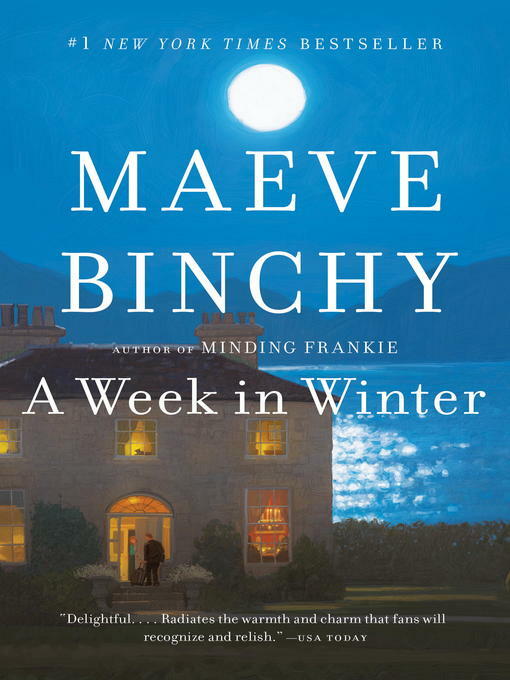 When Chicky Starr decides to take an old, decaying mansion set high on the cliffs overlooking the windswept Atlantic Ocean and turn it into a restful place for a holiday by the sea, everyone thinks she is crazy. Helped by Rigger (a bad boy turned good who is handy around the house) and Orla, her niece (a whiz at business), Chicky is finally ready to welcome the first guests to Stone House's big warm kitchen, log fires, and understated elegant bedrooms. John, the American movie star, thinks he has arrived incognito; Winnie and Lillian are forced into taking a holiday together; Nicola and Henry, husband and wife, have been shaken by seeing too much death practicing medicine; Anders hates his father's business, but has a real talent for music; Miss Nell Howe, a retired schoolteacher, criticizes everything and leaves a day early, much to everyone's relief; the Walls are disappointed to have won this second-prize holiday in a contest where first prize was Paris; and Freda, the librarian, is afraid of her own psychic visions. Sharing a week with this unlikely cast of characters is pure joy, full of Maeve's trademark warmth and humor. Once again, she embraces us with her grand storytelling. This ebook edition includes photos from the landscape of A WEEK IN WINTER and a Reading Group Guide.